Western Coalfields Limited is much familiar as WCL. So it has recently released announced WCL Recruitment 2017 notifications to fill up Multiple vacant positions throughout the country in various Departments, So candidates who are looking for the Central government jobs can apply for these positions on or before the last date. As we all know there is heavy competition for the central government jobs we insist the candidates prepare well and also to apply only if they think are eligible for that particular position. WCL Recruitment 2017 will be a golden opportunity for the job searchers as there are numerous openings in this Cental Government Organization. And Candidates can now apply for their dream job without hassle as we updated all the required additional information, especially for the candidates. So you can get all the minute details here further in this post. In this post, we updated information like Posts Details, Number of Vacancies, Age limit, Age Relaxation, Applying link, Start Date and last Date to apply etc., all about the WCL Recruitment 2017. And candidates who are interested in state government jobs and other Central Government organizations Openings can now check them on our site ie., Sarkari Recruitment f0r more Detailed and Accurate Information. Interested job searchers can also check other Central Govt Jobs, Navratna and Maharatna Companies openings like BHEL, BEL, BPCL, OIL, SAIL, CONCOR, EIL, ONGC, NTPC, IOCL, GAIL, CIL, Vizag Steel Plant, SCI, REC, PGCIL, PFC, NLC, NMDC, NALCO, MTNL, HPCL, NBCC, AAI, BSNL, CSL, ITDC, NFL, NSC, CCL , CPCL , BCCL, BDL , BEML, B&R, CWC, GRSE, HCL, HLL, HNL, HPC, HUDCO, IRCTC, IREDA, ITPO, KICOL, MDL, MMTC, NSIC, NHPC, NSCL. 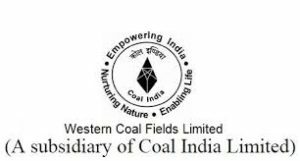 Western Coalfields Limited (WCL) is one of the eight Subsidiary Companies of Coal India Limited (CIL) which is under the administrative control of Ministry of Coal. The Company incorporated under the Companies Act, 1956 has its registered office at Coal Estate, Civil Lines, Nagpur–440001. WCL has been conferred “Miniratna” status on 15th March’2007. The Company has contributed about 7.02% of the national coal production during 2015-16. It has mining operation spread over the states of Maharashtra (in Nagpur, Chandrapur & Yeotmal Districts) and Madhya Pradesh (in Betul and Chhindawara Districts). The Company is a major source of supplies of coal to the industries located in Western India in the States of Maharashtra, Madhya Pradesh, Gujrat and also in Southern India in the States of Andhra Pradesh, Tamil Nadu, Karnataka, and Kerala. Large numbers of Power Houses under Maharashtra, Madhya Pradesh, Gujrat, Karnataka, Punjab and Uttar Pradesh – Electricity Boards are major consumers of its coal along with cement, steel, chemical, fertilizer, paper and brick Industries in these states. Western Coalfields Limited is going to generate a notification to recruit many vacancies. Job searchers can apply for them according to their qualification and eligibility which are updated below in this post in a detailed manner. Organization is looking for the hardworking Candidates. It is looking for both Freshers as wells as Experienced candidates. So, Without Delay Competitors can apply for these Vacancies.The competitive written exam and personal interview will schedule by an authority for final selection. If any type of dispute and query arose with regard to open Western Coalfields Limited posts, the decision of Managing Committee of WCL Recruitment will be last. please mujhe koi bhi job dila do wcl me….